also added to the subbed in Sydney lineup are: Allison Gallagher, Giulia McCool, Cody Edwards and more TBA. 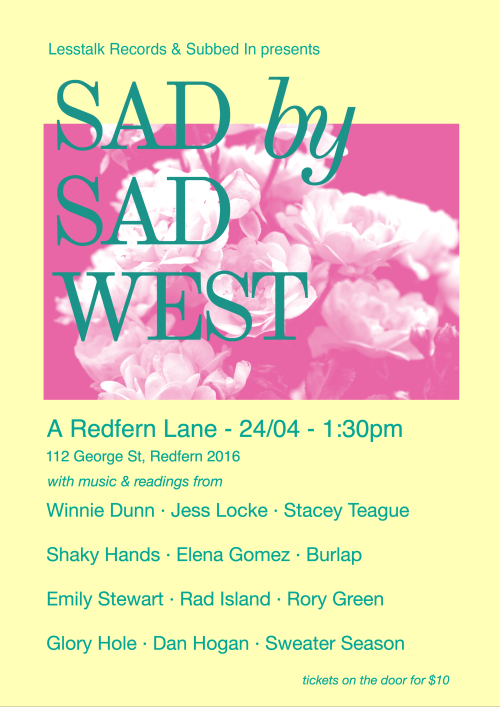 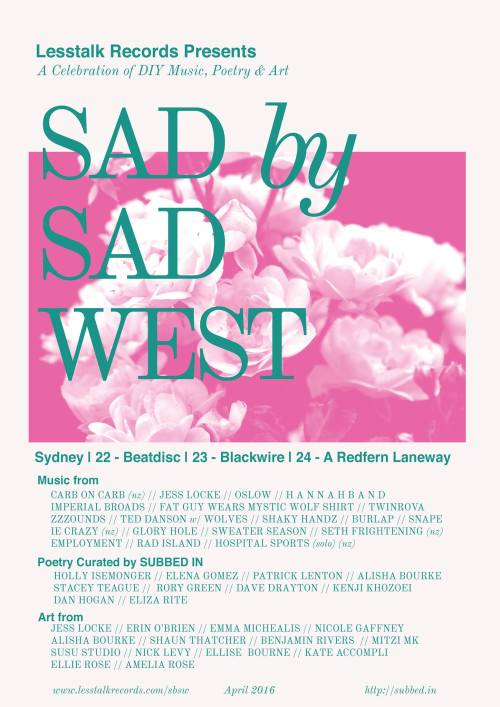 more details re Sydney Sad by Sad West soon! aaaaand Sydney SBSW facebook event is here. 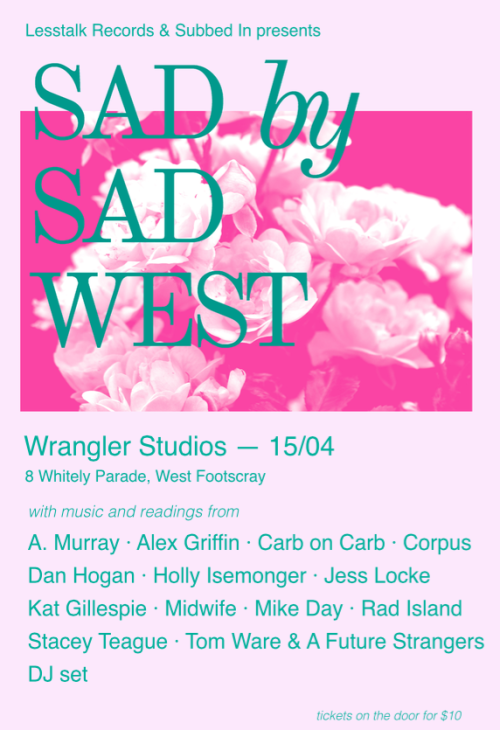 also added to the subbed in Melbourne lineup is: A. Murray. Melbourne SBSW facebook event is here.